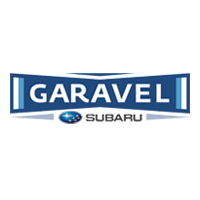 Here at our Garavel Subaru dealership, we have made considerable investments in our service center, staff, and capabilities. For repairs or routine maintenance in Connecticut, we’re you destination. It’s obvious when you need a repair, but what about recommended regular maintenance intervals? If you’re wondering about that, you’ve come to the absolute right place. To help drivers decide when to service their Subaru, our automaker has put together their service menu. And what it specifies is as follows. Every 3,750 miles, they recommend an oil change service. Every 7,500 miles, a minor service checkup is recommended. Once you double that amount, at 15,000 miles, an intermediate service appointment is what our automaker recommends. At 30,000 and 60,000 miles, our automaker recommends what they refer to as their Major Service III appointment, which is also recommended at the 60,000 and 120,000 mile markers. And finally, at 105,000 miles, a timing belt service is recommended. And of course, all of these services and more are provided at our Subaru dealership. So whether you’re coming from Stamford or anywhere else, look no further for the service and maintenance that you need.